2nd Tuesday each month - FSA Farm Loan personnel in Kiowa County FSA Office. Harvest is winding down for 2016. It has been a good year for the producers in the county. There have been areas of the county that have remained dry throughout the summer; but we all remember 2013 and 2014 and those were horribly dry years. Due to increased workload, as of October 1, 2016, the Farm Loan Offices in Lamar ask that producers call ahead and schedule an appointment. This will enable the Farm Loan Officer to better serve you with an allocation of time scheduled specifically for you. Please call your local farm loan office to schedule your appointment. Walk-in customers will be asked to schedule an appointment. 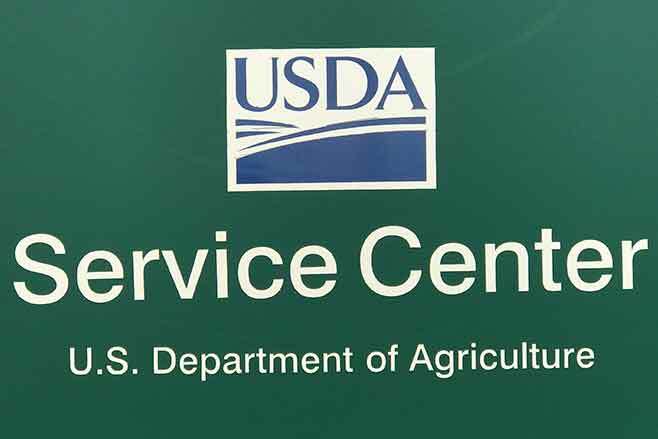 Producers who need to have checks released will be required to obtain approval from the Farm Loan Officer prior to visiting the FSA office for an endorsement. Contact information for Prowers County Farm Loan is 719-336-3437 - their contact information is at the bottom. It's hard to believe; however, it is that time again for the ballots to be mailed out. Ballots for LAA 3 will be mailed out the week of November 7th. Jeff Salisbury, current COC member and COC chairman is unable to seek re-election as he is term limited. Michael Zimmerman will be the candidate on the upcoming election. Michael was born and raised on the family farm North of Haswell. He graduated from Eads High School in 2001. He attended CU Boulder and earned a degree in speech, language, hearing science and psychology. He taught in Cheyenne Wells school district for three years. He was a temporary employee for Kiowa County FSA for a year. He then returned to the farm full-time. Michael raises wheat, corn and grain sorghum. He is married to Julie (Nordquist) and they have two small children. Son, Landon, who is a 1st grader at Eads Elementary and a 3-year-old daughter, Marley. Michael and his family praise God each day for the blessing to farm together with family, friends and neighbors of the community. LDP rates have not triggered for corn and grain sorghum and I will not include them in the UDPATE any longer. Remember, the posted county price is based on a 5-day average of terminal prices and differential. The closing market price for the day does not mean that the LDP rate will be higher or lower the next day. The 2015 ARCPLC payments were issued the week of October 11th. 2016 CRP Annual Rentals were sent out earlier this week. Producers should have the CRP payments in their account by Monday, October 24th. Producers who have not received their CRP annual rental; contact the office. Producers who have not received the 2015 ARCPLC payments; there is most likely a reason. #1 - If the election on the farm was ARC-CO program - Kiowa County triggered payment on oats only. Wheat, grain sorghum, corn didn't trigger due to the fact the actual 2015 yield exceeded the guarantee. #2 - The office is missing eligibility information. The form we are missing has been mailed out to producers that have not filed the 2015 Adjusted Gross Income form. Once the form is received; payment can be issued if all other eligibility requirements have been met. The FSA and NRCS offices will be sending out a letter to producers with Signup #43 contracts rescinding the contract management recommendation of treating one-third of the acres. The offices received notification last week that producers who enrolled acres in this CRP signup in 2012 will be required to apply a contract management activity to 100% of the acres. Producers originally received notification with letters dated February 18th, 2016 stating the recommended activity and the acres to be treated. Again, the percent of acres is being rescinded; not the recommended activity. Producers will have until September 30, 2018 to perform a contract management activity. The offices will be sending out a letter to the contact producer on the CRP contract which is generally the operator. It will be the responsibility of the producer who receives the notification to share the information with others on the contract. The envelope will also contain a detailed description of each contract management activity with current cost share rates and the local contractor listing. After producers receive their notification letter and review the information; contact the FSA or NRCS office with questions or concerns. The County Committee submitted information to allow the original recommendation of acres treated to remain at one-third of the contract acres; however that request was denied.